This recipe sort of came out of the blue, featuring some herbal ingredients that I had lying around and were nearing the end of their shelf life. What better way to preserve the health and healing capability of herbs than steeping them into a beer, which can last for months if not years if properly stored? Tinctures work much the same way, except they can last even longer considering they are often made with 30-40 % alc.vol. liquors. If you get the reference in the name I chose for this beer, you are one awesome dude/dudette. If not, I am not going to give you the satisfaction outright and you are going to have to do a little bit of googling around to figure it out. The name is relevant though, trust me, since I have formulated this one to be the perfect compliment to the end of an evening. Not too forceful, but you are definitely not staying awake for the rest of that movie once you crack one of these buddies open. Featuring chamomile (Matricaria chamomilla) blossoms and valerian (Valeriana officinalis) root, this wildly and differently flavored India pale ale is bound to cripple your chances of staying up late. Both of these herbs gently tone the central nervous system, relax muscle tension and sooth fried nerves and clouded minds. They both help prepare the body for rest by sedating and calming your entire body. Valerian can even be used throughout the day: it helps to naturally restore your body’s sleep rhythm and therefore will only help you sleep when you ought to be sleeping- at night time. Valerian and chamomile can lessen the severity of, or prevent altogether, muscle spams/cramps that can be associated with a host of normal or abnormal bodily functions. Chamomile blossoms and Cascade hops. 1. Bring one gallon of water to a boil. 2. 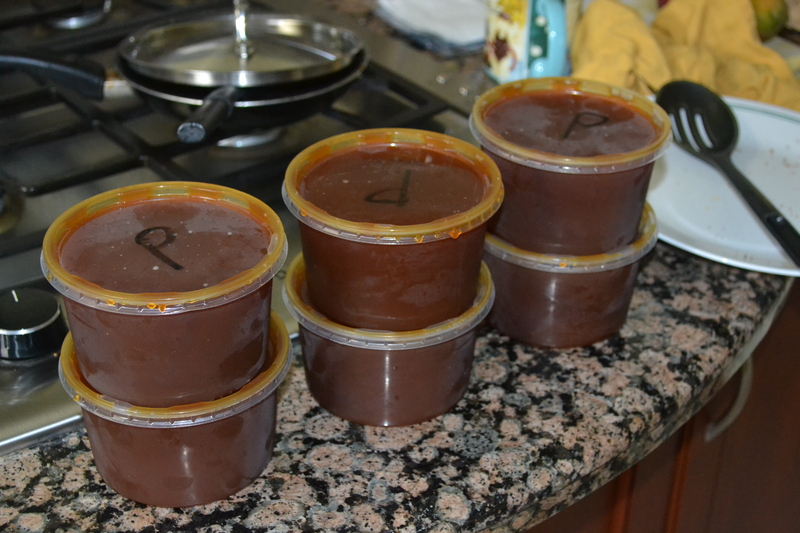 Add liquid amber barley malt extract, pouring slowly and stirring to prevent burning. 3. Add valerian root, stirring a little to evenly spread it around. Start timer at 25 mins. 4. When there is 10 mins. of the boil remaining, add chamomile blossoms and hops. Stir again to dissolve. 5. Once timer goes off, remove from heat and allow wort to cool in the pot until it is around 60-75 degrees F.
6. Fill sterilized carboy/bucket with 3 more gallons of water and wort, adding the wort slowly along with the water so the two mix together as thorough as possible. 7. Wait until head dissipates and then pitch yeast. Finished wart ready for brewing. If anyone else reading this is interested in pursuing some experimentation with herbs in brewing, I highly recommend this. 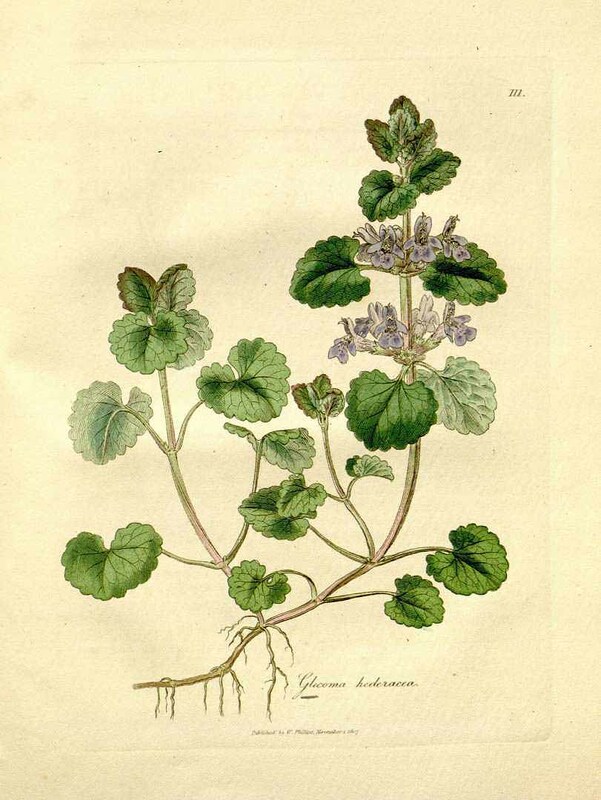 It has a pretty comprehensive list of most common and a few unusual herbs/trees that are of were historically used in brewing for various reasons. 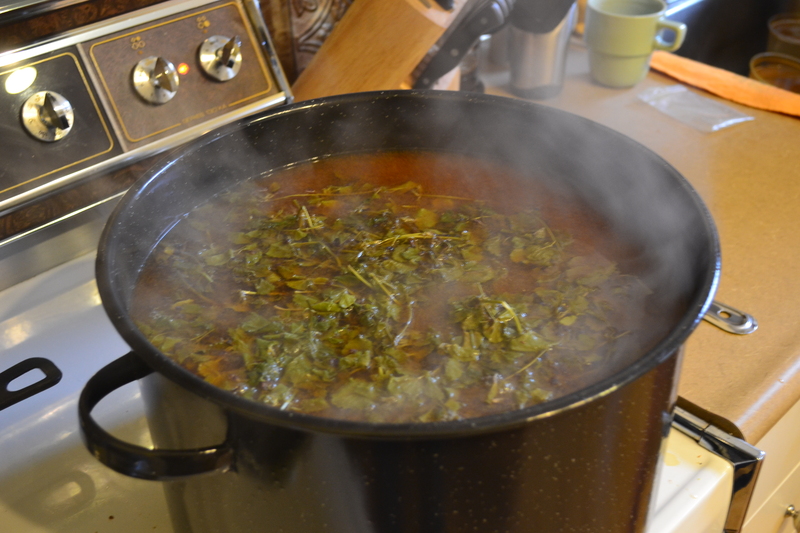 This is where I got the quantities of the herbs that I used for this beer. Smells pretty good already, so I am pretty confident that the folks at the California Fermention Society know what they are talking about. This beer has taken me on a real ride. 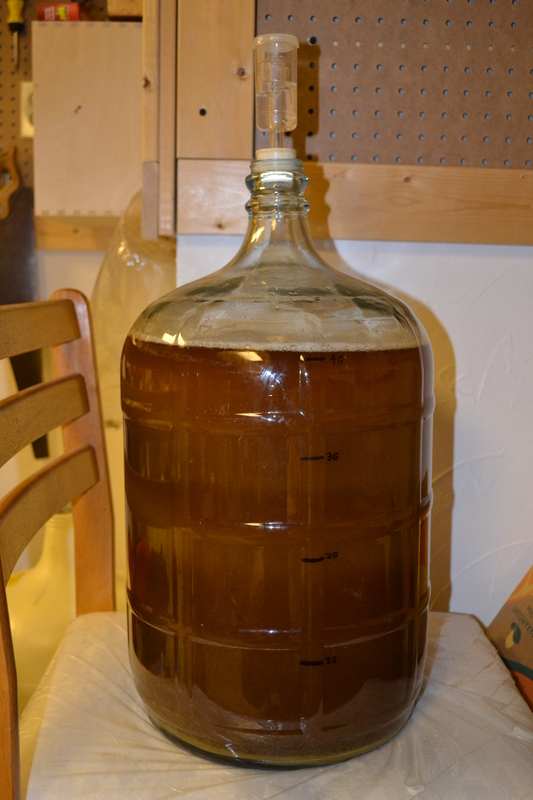 Yesterday, I transferred the 4 gallon batch of this liver cleansing dandelion and milk thistle ale into my second carboy, attempting to filter out all of the yeast and herb parts that I left in during primary fermentation. This beer has been fermenting for 3 and a half weeks, way longer than a beer that was supposed to be straight forward and take less than 10 days to ferment. I did initially have to pitch the yeast in a second time, for 5 days after initially adding yeast I didn’t see any sign of fermentation. I don’t think this would have impacted the length of the fermentation though, because I have had to do this before and the batch still fermented at the regular expected time. So, who knows? I don’t. It may have been due to fluctuating temperatures in the basement, or possibly warding off some unwanted bacterial colony that may have attempted dominance of the wort. I tried a little sample of the beer, even though it is not yet carbonated. It is pretty damn strong, I am estimating 8-9% alc.vol. which is way off the charts for the expected 5% alc.vol. The flavor is a little heavy on the malt, but with a the damp woody bitterness of dandelion. Right now I am just going to wait until the beer stops fermenting during secondary. It might be later this week, or it might keep going for another few weeks. Thought I would free up the first carboy in order to make this beer. Can’t stand to not be brewing, even if it is a brew that is holding me up. Any suggestions/comments as to what I might have done to mess up (but not really) Pis en Lit would be appreciated. From here on in I will forgo the “Part” editions and just post updates on a weekly basis. So, week 4 saw some more growth. 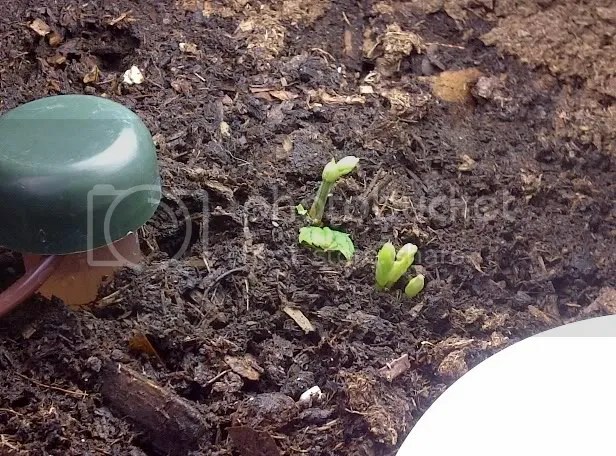 Of the several bines that initially poked up through the soil, only one has really taken off. Perhaps this is because I the planter is too far from the window and the only light I have is from the desk lamp (Rob! Remember our old merch lamp? I’m putting it to good use now!). The light from the lamp is sufficient, as I have a light measuring device (thanks to work) and it cranks out the same intensity as direct sunlight,, at 4 inches away. 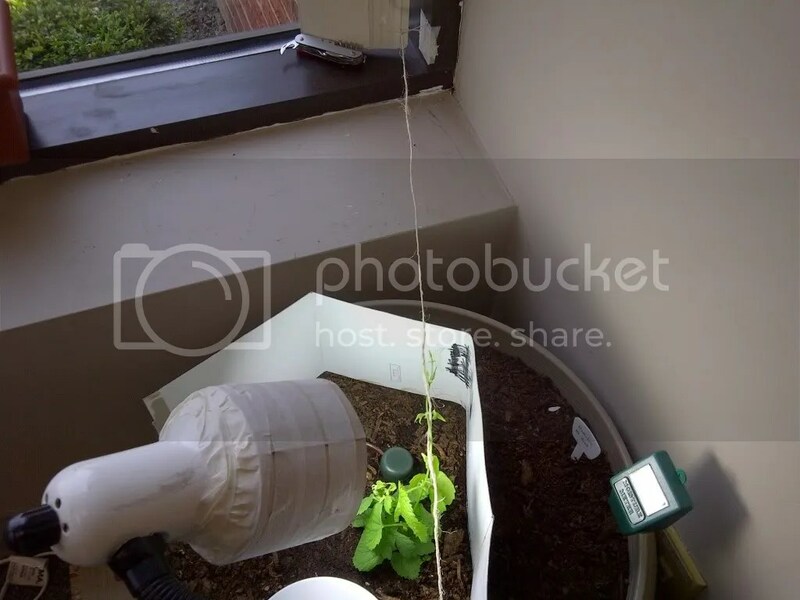 I think that I will have to get another lamp to help provide more light coverage while I train the bines towards the window where it will get full sunlight. Its this first 1~2 foot span that has minimal sunlight that the artificial light will have to supplement the light requirements. I was very surprised when I came back from the long weekend to see this.. I have a feeling that “very vigorous” is going to be a constant theme with this plant. I’ve seen pictures of leaves as big as 12″ diameter! This could get interesting.. 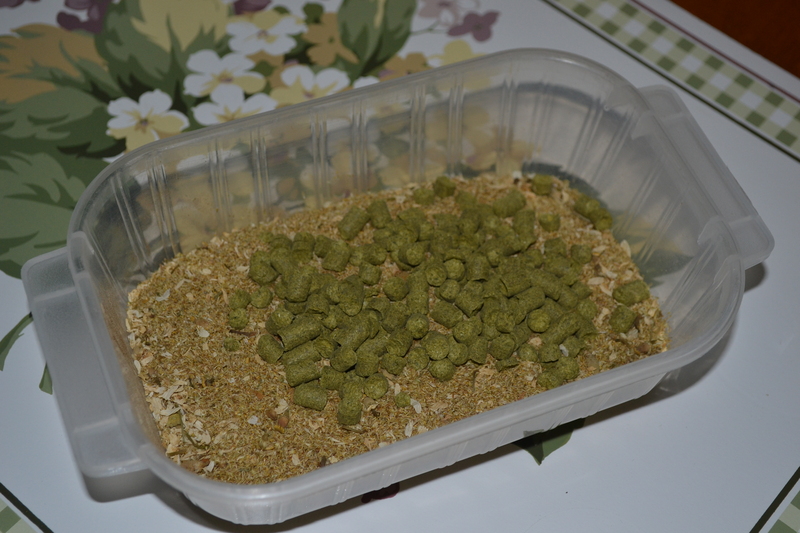 Growing Hops – Part 3 – It’s Alive! Small update. Its alive and growing well. One leaf and what looks like the start of 4 bines. I have a 42W (150W incandescent) Daylight fluorescent bulb a few inches away from the growth, on for 14 hours per day. Seems to be enough light to make a happy humulus. I’ll post another update when it grows a little more. 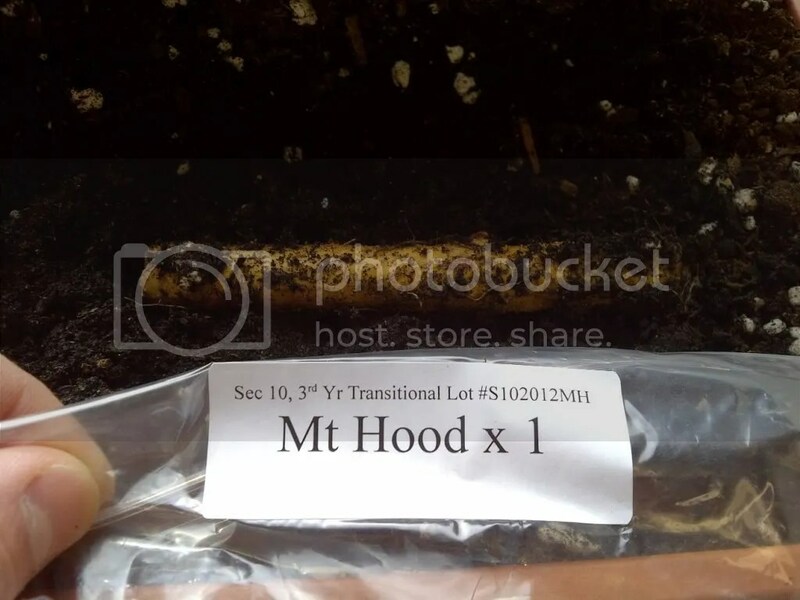 So I had a chance to plant my Mount Hood rhizome. 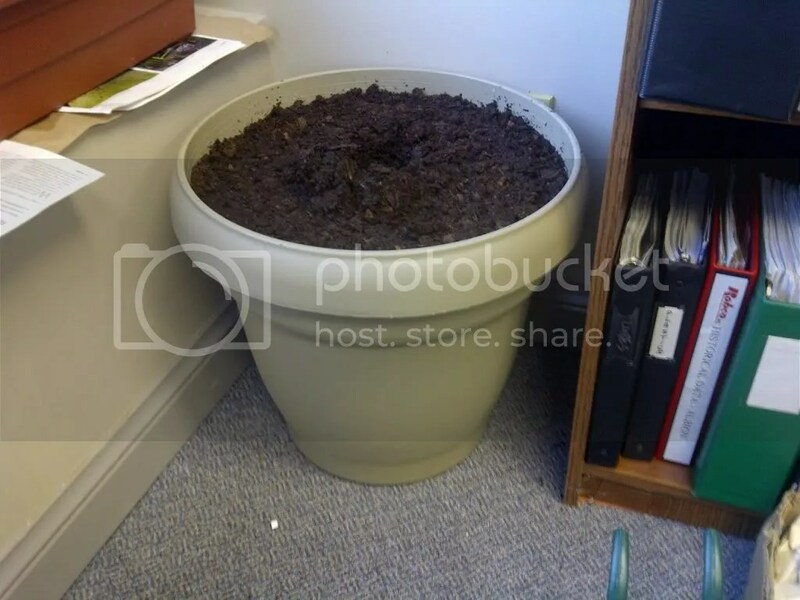 I got one of the biggest plastic pots that I could find and reasonably get away with in my office, filled it with organic vegetable and flower soil, dug a hole and planted the rhizome vertically. There is so much debate about the orientation of planting a rhizome, either vertically or horizontally. I just said, meh, and planted it vertically. 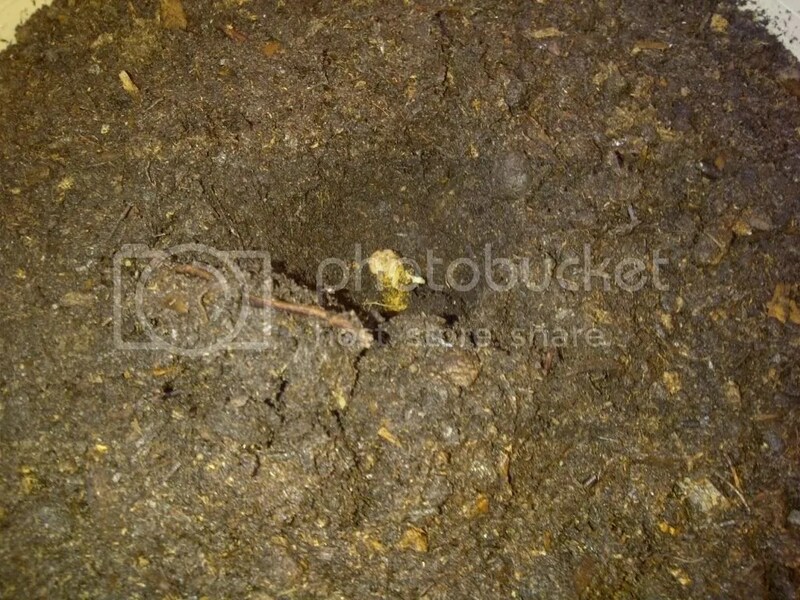 I figured that was okay because there are little shoots coming from the one size of the root, which is the end that I placed closest to the top of the soil. 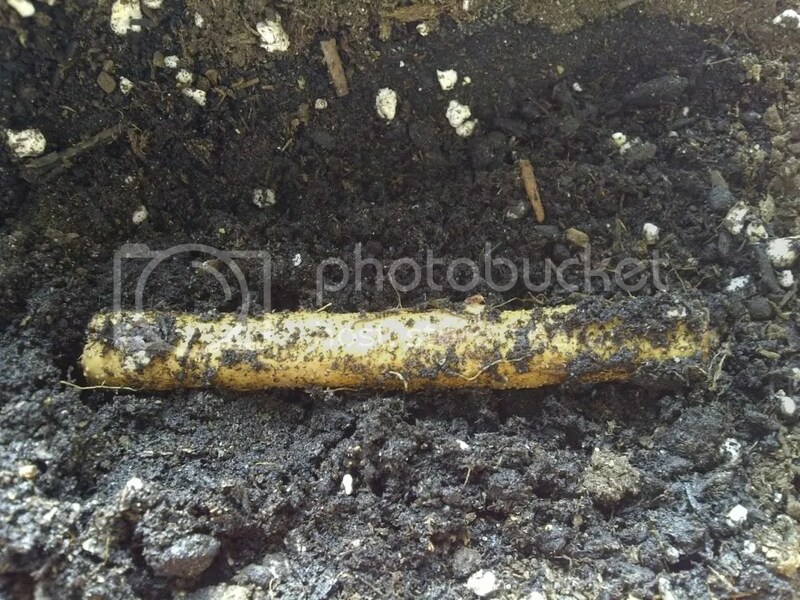 I buried the rhizome about 1″ below the surface and watered the soil. 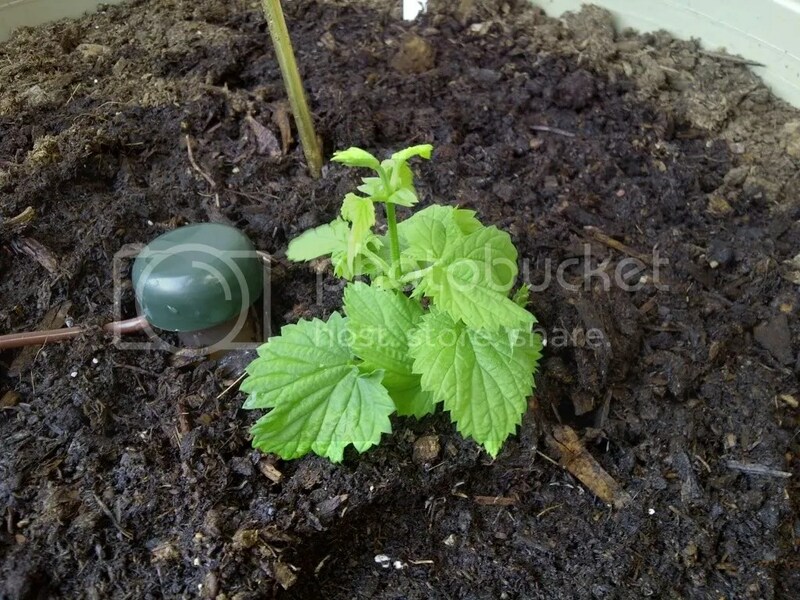 I also added on a few ‘features’ to help my little humulus plant thrive/survive. 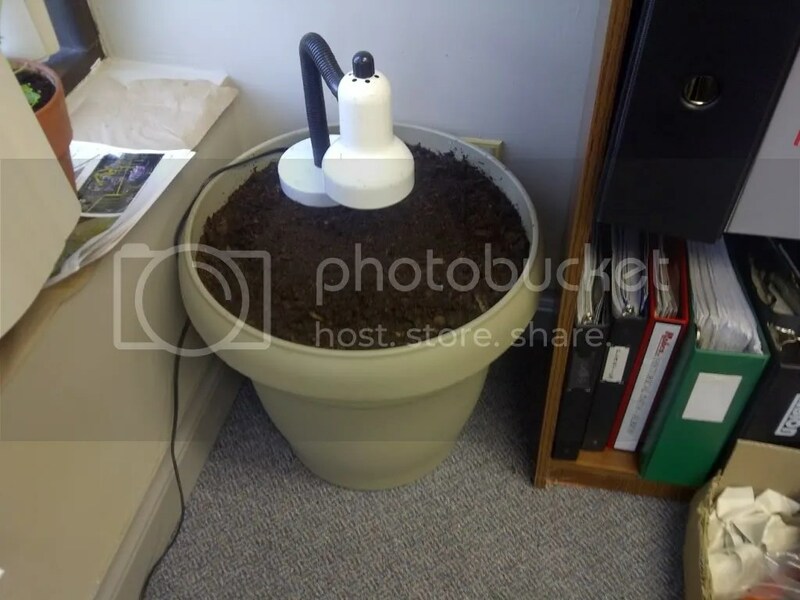 I placed a small fan pointed at the pot to keep a good amount of air circulation going as well as a little desk lamp with a florescent ‘daylight’ bulb pointed at the soil to improve the initial light requirements of the plant. 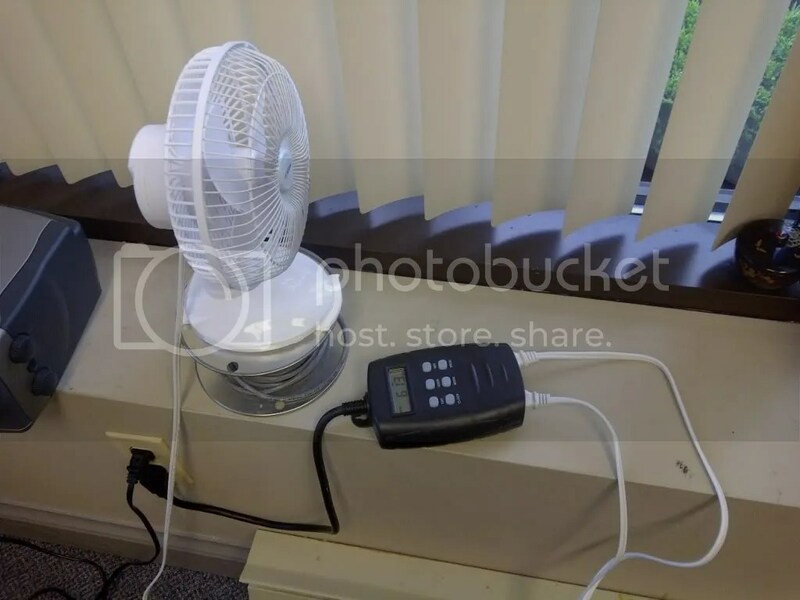 I put both the fan and lamp on a timer so that they will automatically turn on and off. The planter will also get about 7 hours of direct sunlight from the large window which is about a foot away. All I have to do now is wait. 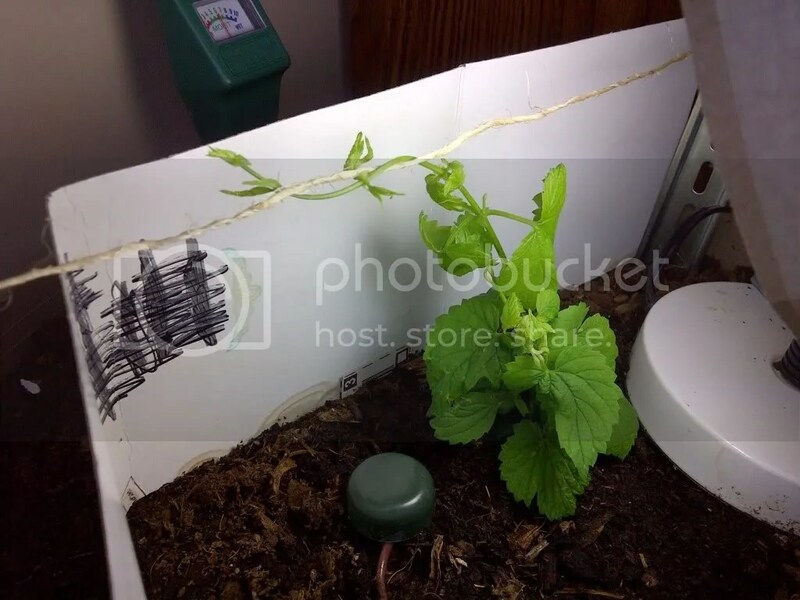 In goes the rhizome – good luck little buddy! A few months back I placed an order from Left Field Farms in British Columbia for a single Mount Hood Hop Rhizome. $6.50 for a 4″ piece of a root – Sure! Why not! I didn’t really have a plan when I ordered it, but I did anyway. Well, it finally arrived yesterday (May 2nd 2012). I’m quite hopeful but I’m not all too sure if I will be successful. I can’t plant the rhizome at home since I have no real property and I fear the dreadful Hamilton pollution. I can plant it at my mothers house, but I would not be able to monitor its growth closely and it would be in a mostly shaded backyard. I may be able to plant it up north near Ashley’s store, but again, I would not be able to monitor its growth. So for now I am going to plant this in a planter box in my office. Its obviously not ideal, but I do have large windows that face direct sun 3/4 of the day, and I can monitor its soil moisture to keep it hydrated (these things need lots of water apparently). I may even put a supplemental fluorescent light near it to give it more light hours. I hope that I can at least grow the root structure so that it can be transplanted next year with a better chance of survival with less attention. I will keep posting with updates on this little project – with the next update being the planting. Exciting! At least I will have a little buddy at work that I can look at every day. I would have went with Cascade, but that was already sold out. So I picked this variety for a few reasons. Its a noble type hop, so it will be great for Belgian style beers. Its mild enough that I really can use it in any style of beer. Also the description from Left Field Farms makes this hop seem like a champion. So here’s hoping that I will be successful in at least growing a plant, and if the God’s are willing, hop cones..